You'll find everything you need to know about getting started with PlusOne here. Once you’re ready, click Sign Up. Sign up for PlusOne to enjoy additional value and upgrades to your current MedAdvisor console with our new monthly fee. Group discounts may apply. To confirm pricing sign up, contact us or call 1300 125 343. MedAdvisor’s popular interactive training is available from any internet browser. We also offer a free remote coaching service to get your pharmacy up-and-running. Your dedicated MedAdvisor coach will talk with you weekly to ensure you get all your staff trained, setup POS material and start effectively signing up patients to MedAdvisor. Ask about remote coaching when you sign up. (Our friendly support team will call you). MedAdvisor operates within a desktop application that can be installed on your pharmacy computers. 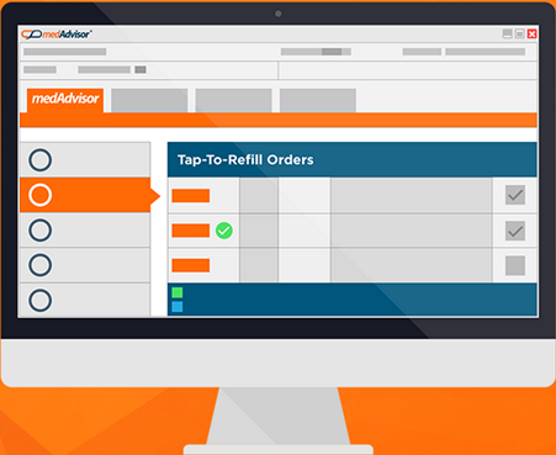 MedAdvisor supports all popular Australian dispensing software systems. Your dispense PCs will need to meet basic software and hardware minimum specifications. Want To Learn More About MedAdvisor? Check the Pharmacy Resources area to access training videos, FAQs, knowledge base, industry news and more. For any questions, email us or call 1300 125 343. Our team is available 9AM to 5PM AEDT Monday to Friday.